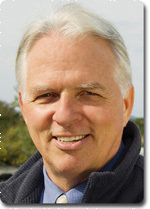 John Burr, Executive Coach & Whole-Life Coach - Coaching and Leadership International Inc.
John's responsibilities as an Executive Coach & Whole-Life Coach as well as CLI Co-President & Senior Trainer requires focus, dedication and commitment to clients as well as the Coaching and Training industry. Since 1998; John Burr is an industry pioneer in the development of best practices for Coaching and the Coaching industry. Assisted in the development and editing of CLI's 80+ award-winning* scientifically engineered tools called PCMK�, Power Coaching� with Mind-Kinetics�. John's long work history within corporate was a major catalyst for the development of these tools in terms of their ability to make logical sense to executives and employees from all walks of life. Co-President and Co-founder of CLI. John Burr began facilitating the PCMK� program in the Spring of 2000. He is Senior Trainer at The CLI Training Centre and, as such, has delivered multiple programs of the Certified Power Coach� Program. In addition, he works in corporate and government delivering CLI's Big Eight programs on topics such as Leadership Mastery and Team Success which all include Power Coaching� tools. 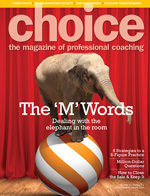 Takes a wholistic approach to coaching. John specializes in Executive and Whole-Life Coaching and loves to coach a wide variety of clients to achieve success in all areas of life. His clientele includes CEO's of companies, sales people and entrepreneurs. CLI's tools are universal and John, known as "The Prosperity Coach" uses them wisely to assist individuals in developing prosperity in all areas of their lives. 25 progressive years in corporate and entrepreneurial endeavours. John Burr received National Awards for his sales achievements. He also enjoyed successful positions in marketing, finance and senior management capacities with international organizations like Simplex and Canox as well as locally focused companies such as Nature's Way Landscaping and Farm Business Consultants. Specializes in Group Coaching using proprietary Power Coaching tools. Co-Author of "Build a Boooooooming Business"
Is a founding member and Past President of the Vancouver Island Coaches Association, the Charter Chapter of the ICF in Victoria, BC Canada. John has volunteered thousands of hours to assist in the management and fund raising activities of organizations such as Kinsmen Clubs, Cystic Fibrosis Foundation, MS Society, Veselka Ukrainian Dance Association and the local chapter of the International Coach Federation. Co-authored and published "Build a Boooooooming Business"
Coached direct report sales rep to position of Director 100% Club. ASC - Accredited Senior Coach granted by the International Authority for Professional Coaching and Mentoring. ACC - Associate Certified Coach granted by the International Coach Federation. SCPC - Senior Certified Power Coach trained via Coaching and Leadership International Inc. Covey Leadership Centre "7 Habits Program". John's greatest joys are his beautiful brilliant wife Betska and amazing daughter. John loves to laugh, enjoys the great outdoors and is a meditative gardener and golfer. John is a student and teacher of living true family values like honesty, self-acceptance, service, faith in self and others and humour.